The object of the carnival game Whack-a-Mole is to use a mallet to hit as many critters as possible when they pop up in random succession. Trouble is, as you hit one mole, three more pop up and disappear before you can nail them all. Whack-a-Mole is a perfect metaphor for how people are medicated today. Unfortunately in this game you end up on a ton of drugs, for a bunch of problems, with no actual improvement in your health. 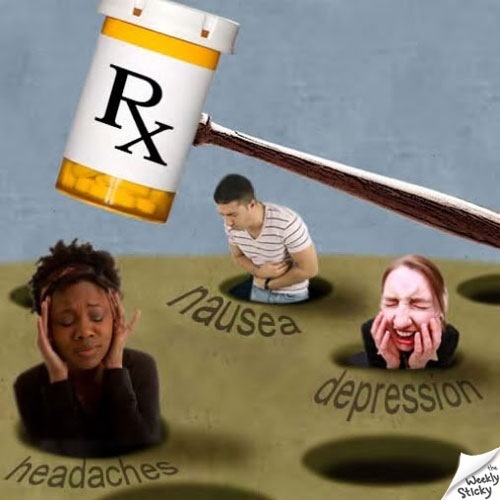 According to a NCHS Data brief by the CDC, over the last 10 years the percentage of Americans who took at least one prescription drug in the past month increased from 44% to 48%. The use of two or more drugs increased from 25% to 31%. The use of five or more drugs increased from 6% to 11%. Yet despite taking all these drugs, the US embarrassingly ranks 37th among the world’s industrial countries when it comes overall health. For Chiropractors, health is not defined by how many symptoms you can temporarily ‘whack away’ with drugs, but how well your body can adapt to its environment and heal under its own innate abilities. You have more healing intelligence in your little finger than all the doctors and pharmacies in the world put together. Big Pharma doesn’t believe so, but Chiropractors do. Keep your Nerve System clear and you won’t have to play their failing game.